Aggressive time frame was used to complete the design in time for the construction season. Use of existing and proposed control wiring, switching, control logic and conduit systems to reduce construction costs. Selection of infrared detection technology and electrical power. Extensive coordination with Authority Management, Operations, and Construction departments to avoid conflicts during construction. AEA provided electrical system design and support services (Stages II, III, and IV) as sub consultant to Louis Berger Group, Inc. for the Port Authority Security Project Management office of the LaGuardia Airport Facility. Work included developing the design drawings, specifications, and construction estimate for the replacement of the existing security gate and barrier control panels at Airport Guard Posts No. 1 and 2 as well as providing construction engineering services to review the Contractor bid proposals, and evaluate and respond to Contractor Requests for Information (RFI’s) during the advertisement and construction activities. Design included the development of construction drawings for replacement of the existing logic control and vehicle detection systems, installation of new traffic signal indications, design and wiring of infrared beam detection devices, rewiring of control cables between controller and field devices, and provisions for future integration with the Facility local area network. Field investigation and design tasks required detailed coordination with the design team, Authority, and equipment vendors for gate controls, detection interfaces, barrier limiting switches, and PLC logic circuit operation. Interviews with the facility management, maintenance, operations, and engineering personnel provided critical insight in the identification of the existing system shortcomings and operational concerns, along with construction elements to be addresses in the design. All drawings were prepared in accordance with the Authority CADD and design standards, and National and Local Electrical Codes. 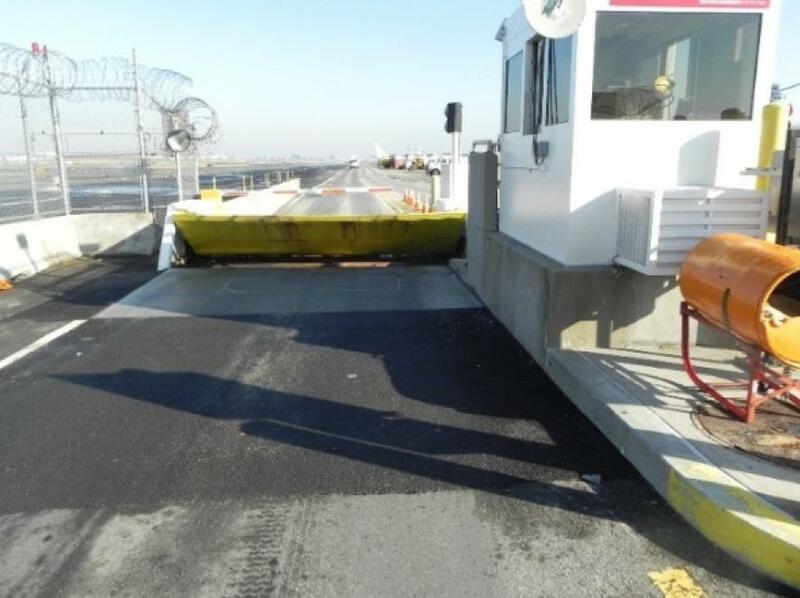 During the construction work activities, AEA performed working drawing and catalogue cut material reviews of the control system, wiring, infrared detection system, construction details, and operational manuals for correct sequencing of the barrier and gate control system logic.